Axis is a concrete highrise centrally located across from HighGate mall. Developed by the Rykon Group and award winning Robert Ciccozzi Architecture, this beautiful building offers 102 units of great value and superb design in one. Your own entrance is greeted with oversized porcelain tile flooring and offers a sleek and sophisticated kitchen, complete with granite counters, Kohler fixtures, open breakfast bar, stainless appliances and undermount sink; luxurious bathrooms detailed with granite tops, marble accents, deep soaker tubs, and rainhead showers in ensuite. 1, 2 and 2 plus floor plans are offered and start at 603 sq ft to 832 sq ft, with penthouses at 1160 sq ft. Located across from Save-On, Starbucks, and close to libraries, theatres, restaurants and services. 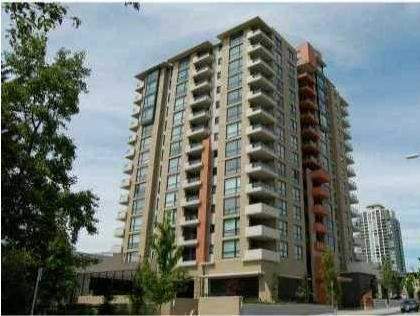 5 minute drive to Metrotown or 5 minute walk to Edmonds SkyTrain Station.